eddyNCDT ECT sensors have a much higher temperature stability and robustness than conventional versions. They are used at temperatures of up to 350°C. Currently, 600 ECT sensors are being used at Lamost. Even when the dome is being opened, the mirrors ensure precise positioning. The ECT procedure is also used with capacitive sensors. The capaNCDT CSH sensors can therefore be used in the most adverse environments. In atomic force microscopes, the sensors are cooled to 269°C. In strong electromagnetic fields, they measure the movement of the nano-positioning unit. When a standard sensor does not meet its set requirements, users often turn to customer-specific solutions. But what can we do when the demands of the application exceed the sensors' physical capabilities? In such cases, help comes in the form of Micro-Epsilon's new ECT technology for capacitive sensors and eddy current sensors. This way, the sensors' operating limits can be greatly extended. Anyone who thinks that classical displacement measurement using electromagnetic procedures now plays only a minor role compared with optical sensors, is wide of the mark. Numerous applications show that in many applications, eddy current sensors and capacitive sensors are simply irreplaceable. In particular, the newly developed "Embedded Coil Technology" (ECT) from Micro-Epsilon demonstrates the versatility of the sensors through using the latest manufacturing techniques and previously unimaginable applications. Classical eddy current sensors operate using an air-core coil, which means they are not influenced by surrounding electromagnetic fields and can afford to have higher cut-off frequencies compared to sensors with a ferromagnetic core. These are the sensors of choice when very fast and dynamic measurements are required. Eddy current sensors operate with carrier frequencies ranging from 100kHz to 5MHz. With their cut-off frequencies higher than 100kHz, these sensors are ideal for recording rapid movements. The new eddyNCDT ECT sensors require no conventionally wound coil at all. Instead, a two-dimensional coil is embedded in an inorganic material in such a way that this ensures stable geometrical shape and temperature. Entirely new geometries and sizes can be achieved using these sensors. The new eddyNCDT ECT sensors always have a special design, as they are developed for a specific application each time. The sensors can always be recognised by their blue sensor surface where the coil is located. Although the new technology seems very unobtrusive, it has some important advantages in use. ECT sensors are extremely resistant to heat and are suitable for applications up to 350°C due to the inorganic support material used in their construction. Applications in ultra-high vacuums and strong electromagnetic fields have already been successfully implemented with very high levels of precision. An ideal solution to the problem would have been unthinkable using conventional sensor designs. 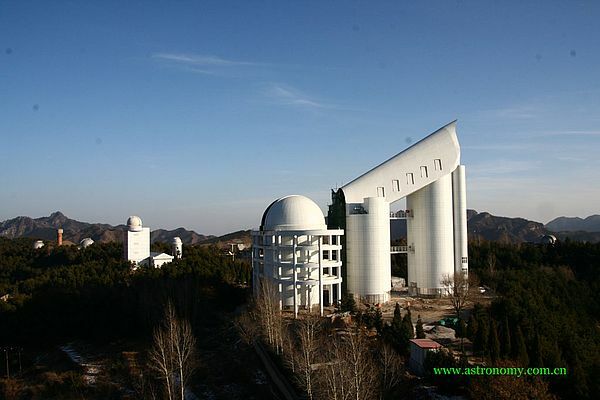 One of the very first applications involved aligning the mirror segments in the LAMOST, China's largest reflecting telescope. Here, 70 mirror segments are aligned to each other at submicron accuracy with the help of 600 eddyNCDT ECT sensors. The decisive factor here is the high temperature stability, which is necessary when the roof of the observatory is opened to reveal the starry night sky. Another example is the successful use of the ECT sensor in semiconductor lithography production - with nanometre resolution. One significant advantage is the high mechanical stability, since the coil and the electronic components are embedded directly into the carrier material. Therefore, in the paper industry for example, a sensor has been developed for measuring grinding gaps by refiners that can withstand the high vibrations encountered during long-term operation. The geometrical nature of the sensors is also extremely flexible. The sensor can be adjusted according to specific customer requirements. The sensor can be embedded together with the electronics or produced separately. So far, the technology has been used exclusively in special customised projects. In the future, the process will be applied to standard sensors with the aim of providing corresponding technological advantages. Micro-Epsilon has been developing and manufacturing its own eddy current sensors since 1980. During this time, the technology has been continuously improved and adapted to new requirements. In terms of sensor miniaturisation, the company’s 2.4mm diameter sensor is unrivalled. The development efforts have taken conventional sensors to their physical limits. A new technology therefore had to be found, one which made the sensors suitable for new applications. The R&D conducted over recent years has led to the development of a printed coil embedded in an inorganic carrier material. Thanks to the recent material and technological developments, a path has been paved for the new ECT process. The material requirements are as follows: the carrier material must not be metallic nor may it emit gas, and it needs to have a low coefficient of expansion. Applications at an operating temperature of 350°C were already possible using existing sensors, but they have become much easier to control thanks to this new special material. The multi-layer structure, which can even accommodate electronic components, enables solutions to be devised with either external or integrated electronics. For vacuum applications, a hermetically sealed housing is used. Depending on customer requirements, the many different benefits of ECT can be combined in a variety of ways. Often, solutions with integrated electronic components are called for, which means that a downstream electronic unit can be dispensed with. The new technology has only become possible because Micro-Epsilon has been able to combine different skills at different company locations within the Group. Therefore, the Micro-Hybrid subsidiary in Hermsdorf is largely involved in the development of the ECT. Microelectronics manufacture for the Micro-Epsilon Group is carried out at Hermsdorf. Micro-Hybrid is a specialist in electronic manufacturing services and micro-sensors. Similar properties also apply to capacitive sensors with ECT, the shape and stability of which enable new operations, for example, in nano-positioning of atomic force microscopes. At an ambient temperature of -269°C, capaNCDT CSH sensors measure the movement of a sample. A surface topography is generated with nanometre resolution. 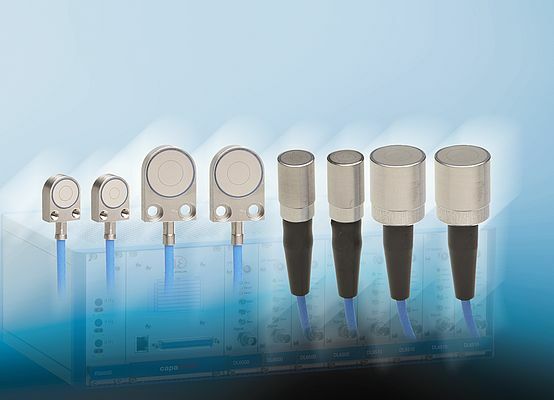 Two capaNCDT CSH-FL series sensors record the positioning in the X and Y axes. The sample is then cooled to 4K using liquid helium. 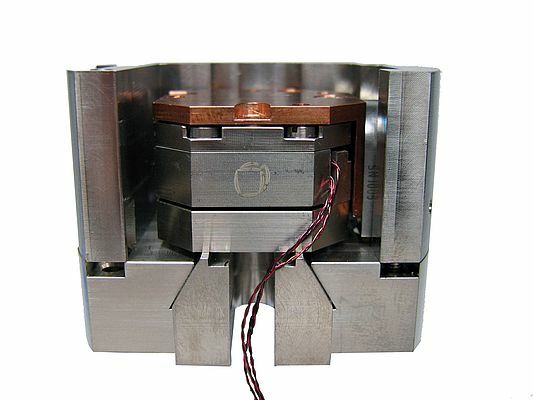 At room temperature, in strong electromagnetic fields, as well as in ultra high vacuum and close to absolute zero, the sensors achieve a resolution in the nanometre range. The special materials used in the construction of the capacitive sensors make it possible to master these extreme environments. In contrast to eddy current sensors, capacitive sensors require a clean measuring gap, and are slower and more expensive due to the more complex circuitry involved. However, the sensors do provide unprecedented precision. Resolutions down to 0.037nm can be achieved. 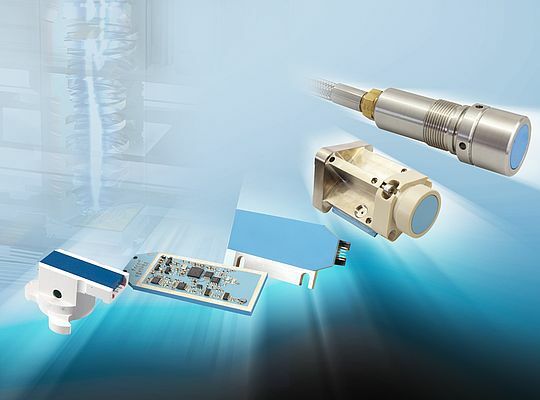 The new capaNCDT-CSH displacement sensors are also embedded in the ECT material, which makes them very temperature-stable and compact, with a sensor height of just 4mm, which means they can be used in the semiconductor industry in the exposure lenses of lithography units. Currently, measuring ranges between 0.2 and 1.2mm are offered. Here too, the new ECT procedure is being used.